So when the City of Edina decided to rehabilitate 54th Street and develop a stormwater management plan for the area, they decided to approach the project in a new way. Their mission? To design an authentic, sustainable, and transparent infrastructure project whose success was defined not only by city officials and engineers, but by the vibrant mix of people living, working, and playing in the area: the area’s many stakeholders. To accomplish this, the city teamed up with Short Elliot Hendrickson Inc. (SEH) and SEH’s public engagement and strategic planning sub consultant Carroll, Franck and Associates to develop and implement a project that emphasized both sustainability and spirited public engagement. In other words, a project that met Houle’s “New Normal” head on. As part of their approach, the project team enlisted a new industry tool: the Envision™ rating system. Envision™ was developed in partnership between the Harvard University Graduate School of Design and the Institute for Sustainable Infrastructure (ISI), a non-profit established by the American Public Works Association (APWA), American Society of Civil Engineers (ASCE), and the American Council of Engineering Companies (ACEC). Much as LEED is used to integrate sustainability best practices into architectural design, Envision™ was created to bring new approaches to infrastructure planning, design, construction, operation, and re-use. In contrast to traditional sector-specific methods that focus solely on sustainability within one type of infrastructure (streets, for example), Envision™ is intended to serve as an overarching tool that incorporates sustainability across all aspects of infrastructure. This is important because nearly all infrastructure projects are impacted by — and have an impact on — other types of infrastructure in a community. Within each category, a project is scored based on its performance. This is done on a graduated Performance Level scale that ranges from Improved to Enhanced to Superior to Conserving to Restorative (see top right of chart below, illustrating the 12 credits available in the Quality of Life category). Importantly, not every performance level can be achieved for every credit. For example, QL 2.2 Minimize Noise and Vibration has only three associated performance levels: Improved, Conserving, and Restorative. In effort to promote innovation beyond the scope of credits identified for each category within Envision™, the system also provides an Innovation credit category. Project teams that push the boundaries of sustainability are encouraged to pursue Innovation credits. For the Edina project, the project team achieved Innovation credits for its rigorous efforts to include and involve stakeholders during the planning process. The goal of the Project Team was to implement the Envision™ rating system in conjunction with a public involvement strategy. By combining Envision™ with public engagement, the team and stakeholders could make informed decisions together, while winnowing down the many project possibilities to a point of broader consensus. Throughout, Envision™ was used as a holistic tool to help guide the planning process and inform stakeholders of the environmental, social, and economic advantages of various project components and design scenarios. The process began by fielding initial input from the project’s many stakeholders. 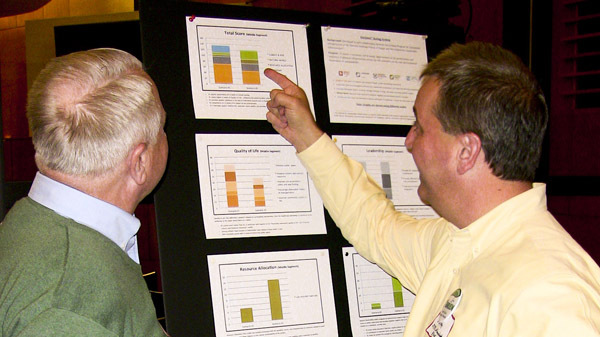 At the project onset, the team identified key stakeholders and established the project’s technical and engagement parameters — including priorities and regulatory direction from the Watershed District and MnDOT. Then they began gathering input on needs and issues from all stakeholders through small group sessions with city entities and used intercept surveys and door knocking to hear from project neighbors. This critical input, in combination with the technical requirements for the project, framed the major project issues. Once the team translated the full range of internal and external stakeholder input into a set of major project issues and needs, they then identified related project components that could address them. Each component was printed on a card, which included a brief description of the issue the component could solve and also which Envision™ credits it satisfied. Stakeholders were invited to a workshop or online survey to view these cards and offer feedback on the components. 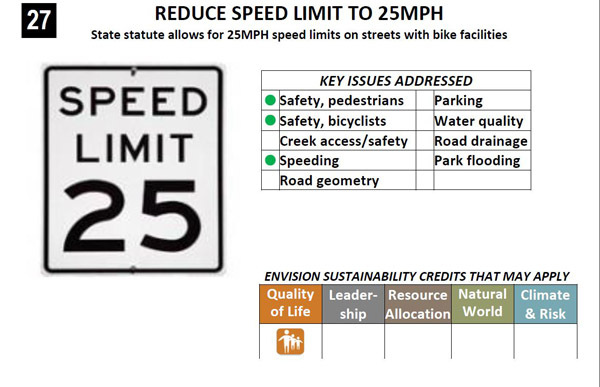 The card pictured below is an example of how the project team used Envision™ to help link key issues with potential solutions, anchoring them to the Quality of Life credits that were applicable to the project. 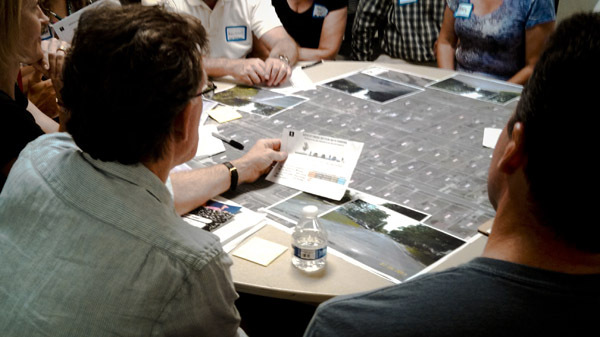 After receiving in-person and online feedback from over 100 stakeholders, the team assembled the components within the technical parameters to create preliminary design scenarios for street rehabilitation and stormwater management. The team rated each scenario across all relevant Envision™ credits and included the Envision™ score on each scenario. This was followed by another engagement session to gather in-person and online feedback. By representing Envision™ information with charts and graphs, the Team presented to stakeholders a clear visual and an objective framework to help understand the sustainability tradeoffs inherent in any design. As a new tool, much has yet to be learned about how Envision™ can be optimized to deepen understanding and foster community discussions about sustainability in respect to infrastructure decisions. The 54th Street Project Team, for instance, found that when the content of the scenarios generated a lot of controversy, there was substantially less attention to how each scenario scored on the Envision™ credits. However, Envision™ was useful in helping stakeholders and the project team begin to consider the sustainability impacts of various design alternatives. The team was able to relate potential solutions back to the Envision™ credit system, helping foster a clear dialogue around a variety of sustainability-related considerations. It is anticipated that the City will continue to use Envision™ after the final Feasibility Study is completed and the project moves to the design and construction phases, where several Envision™ credits will become more relevant. Many of the Resource Allocation credits, RA1.3 Use Recycled Materials for instance, should be addressed during final design. Public works officials no longer simply manage infrastructure – they also must respond to a host of complex, interrelated challenges driven by changes in demographics, heightened expectations for public involvement, and the need to carefully balance a project’s social, environmental, and economic goals. This means planners, officials, and engineers will need to approach infrastructure projects in new ways. 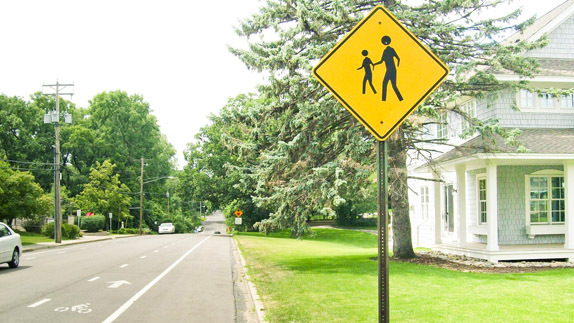 The 54th Street project in Edina, with its bold public involvement strategy and use of Envision™, illustrates one way to address these changes, and meet the “New Normal” head on. Wayne Houle is former city engineer, City of Edina. Andrew F. Dane, AICP, ENV SP, is with Short Elliott Hendrickson Inc. Paul J. Pasko III, PE, is with Short Elliot Hendrickson Inc.